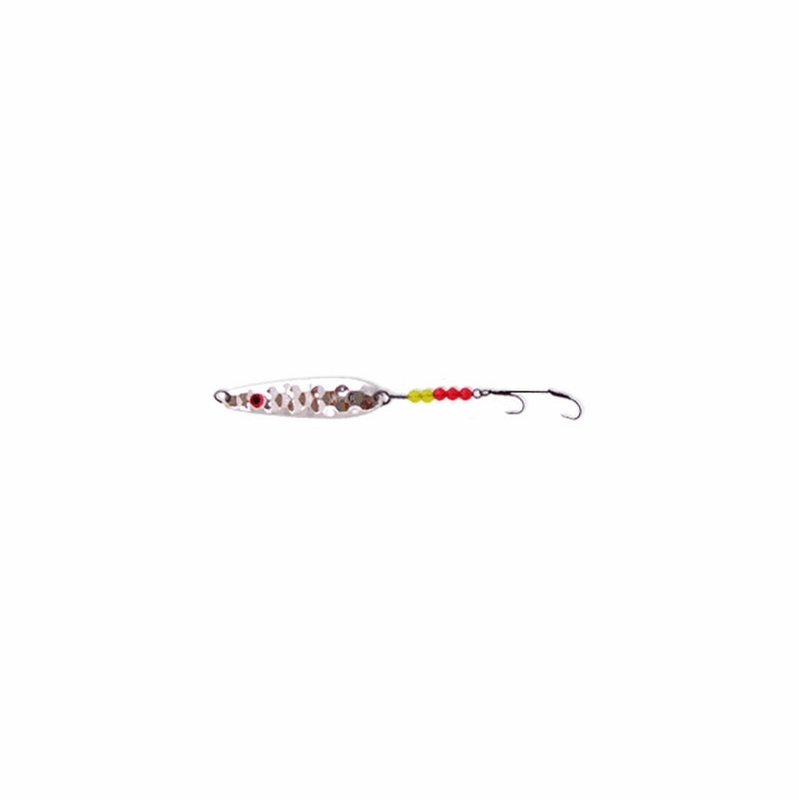 The Thundermist SP Viper Spoon Lures are made with titanium wire and are single strand with ultra-sharp hooks. 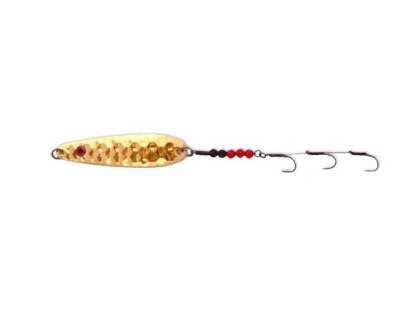 These lures are made for both freshwater and saltwater fishing. Perfect for trolling or drifting techniques. They work really good, but not for a novice. One day caught a nice Sea bass on one, and realized the hooks are too close together on them when one went into the soft area between my thumb and pointer finger as i tried to unhook the fish. 3 minutes later after i had pushed the hook out the other side of my hand and cut the barb off to pull it out I immediately put it back in my tackle box and i can't recall touching it since. If you are going yo use these be super aware that if the fish is not hooked with both and flops, you might be the next thing caught. I took this out for some rock fish the other day, no halibut unfortunately, but it was effective, had nice action, and is a good setup either with some squid strips or double hooking a whole squid. 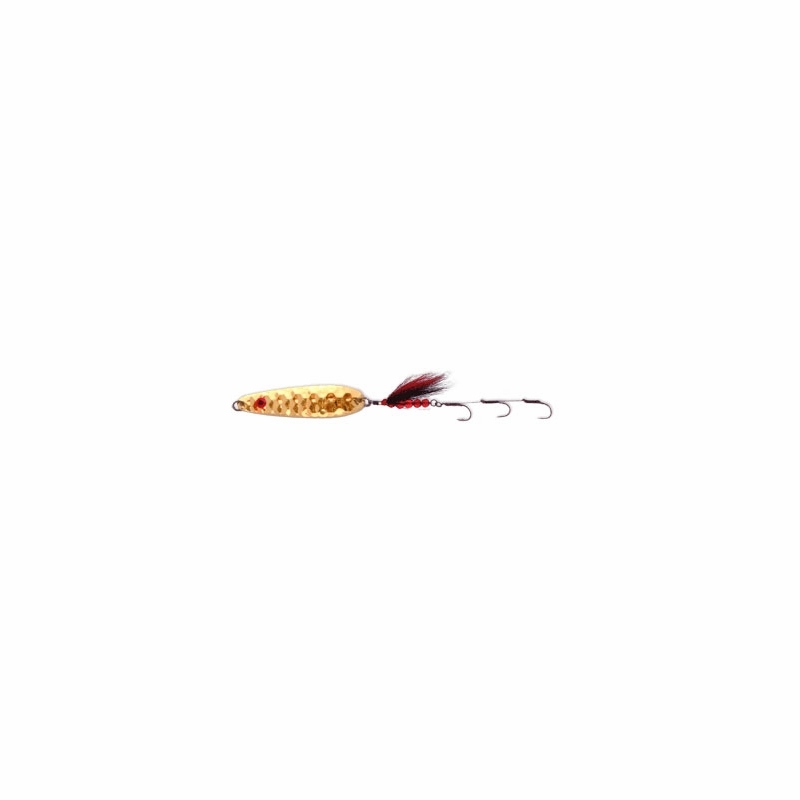 The flash should help lure out some ling cod if you are in an area with those around as well. It's light enough that it stays away from the main dropper loop line. Excited to bring it out again. I use this spoon and tip it with squid and it is awesome! I surf primarily from the beach or pier. What I am trying to find out is what the difference is between the SP and SS vipers? is one better suited for surfcasting than the other?? Hello Bob. 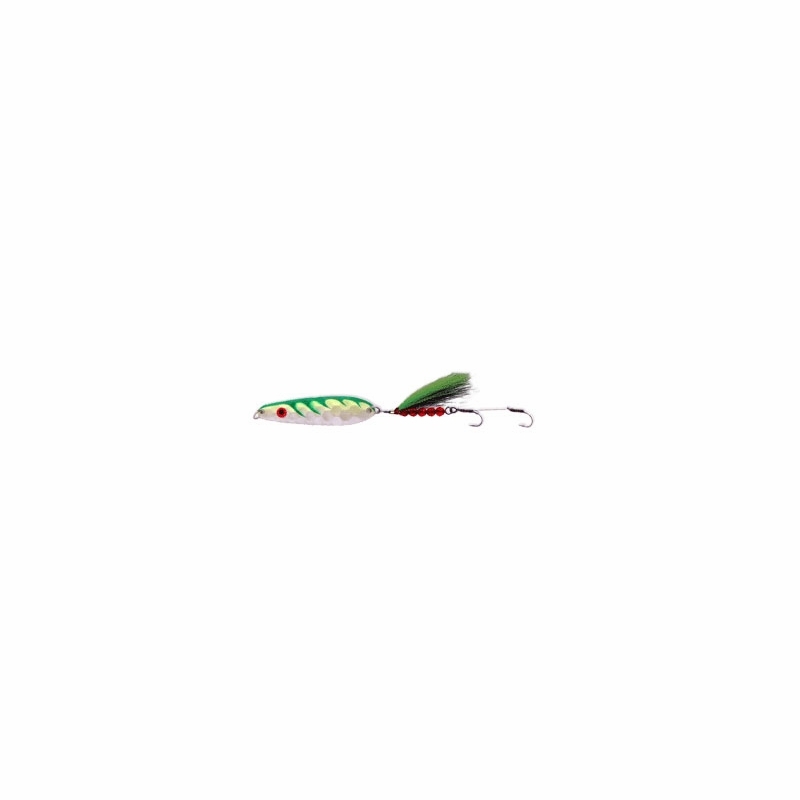 The SP lures have smaller hooks and can be used for a variety of fish in both salt and freshwater. The SS are made for saltwater fishing and are typically used for fishing for larger game.